We're a shining compliment to the generosity and support of the Macedonian community in Canada. 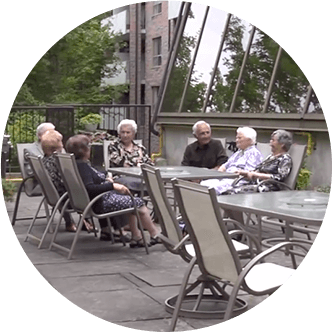 A senior’s community where you feel at home. 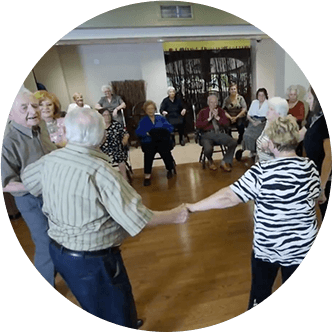 To be recognized within the community as a comfortable and safe home for seniors that celebrates the Macedonian culture and heritage. To provide quality, affordable accommodations, medical resources, social activities and companionship to seniors. We play a vital role in support of Macedonian heritage and culture. We strive to bring the Macedonian and Canadian cultures closer together. Your help directly contributes to the quality of lifestyle for our residents. As a not-for-profit organization, proceeds support Canadian Macedonian Place, Macedonian programs and services, and Canadian charities. Canadian Macedonian Place Foundation is a non-profit organization that funds and supports the lifestyle of CMP residents and the Macedonian community at large, including various culturally relevant programs and services including the Canadian Macedonian Historical Society and the Macedonian language program at the University of Toronto. 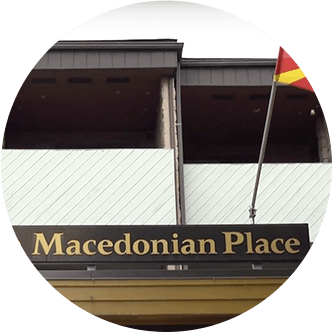 Canadian Macedonian Place hosts a multitude of cultural events and social gatherings, including the annual Macedonian Open golf tournament, musical evenings, traditional celebrations, poetry readings, and more. Canadian Macedonian Place celebrates Macedonian culture and creates a warm and inviting place to call home. We encourage independence and provide the freedom of living independently while maintaining a sense of comfort, safety and community.